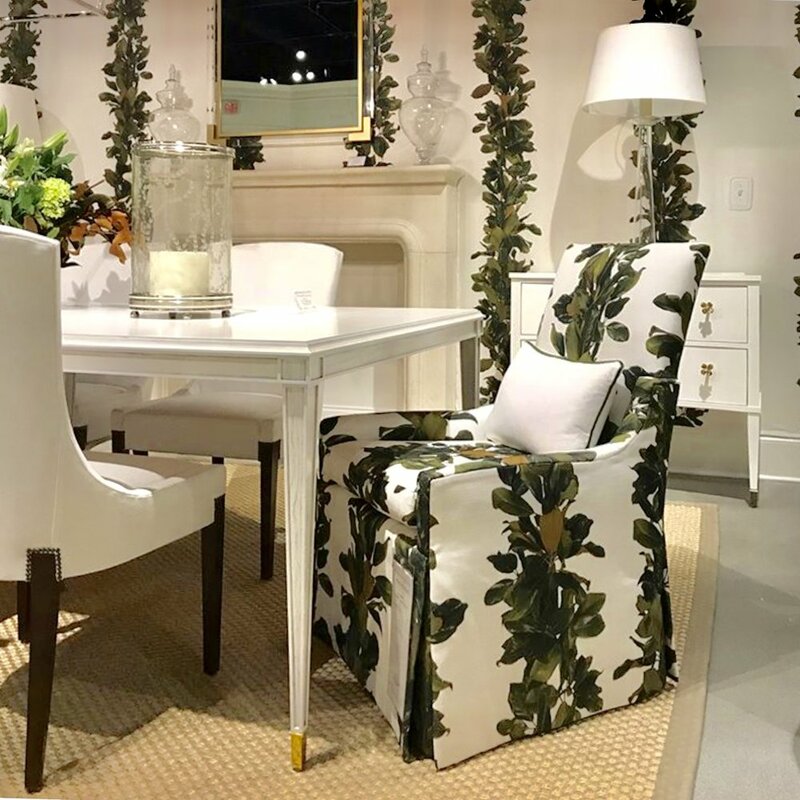 I was disappointed that I couldn’t make it to High Point Market this year as it’s such an important event for inspiration, product shopping, and networking for the interior design industry - it’s really Fashion Week for furniture. But between client projects and my own pending renovation, I just couldn’t squeeze it in. Thanks to the internet though, I was able to keep up with what’s new and what’s next through the magic of Instagram, and saw a few clear trends jump out at me. 1. Curves Ahead. The strict geometric lines of modernism we’ve been seeing for what feels like decades, has been softened with sweet curves and sensuous lines. Miniforms Blown Glass Cocktail Tables at 220 Elm. 2. Leaf it Alone. Botanical themes were in abundance. Seems like every other photo on Instagram featured a leaf or floral motif. 3. The Softer Side of Metal. Metallics are always in fashion, but at this year’s market they were softened, with burnished, patinated, and antique finishes for a softer gleam. Pewters made a particularly strong showing in this category. 4. Birds of a Feather. 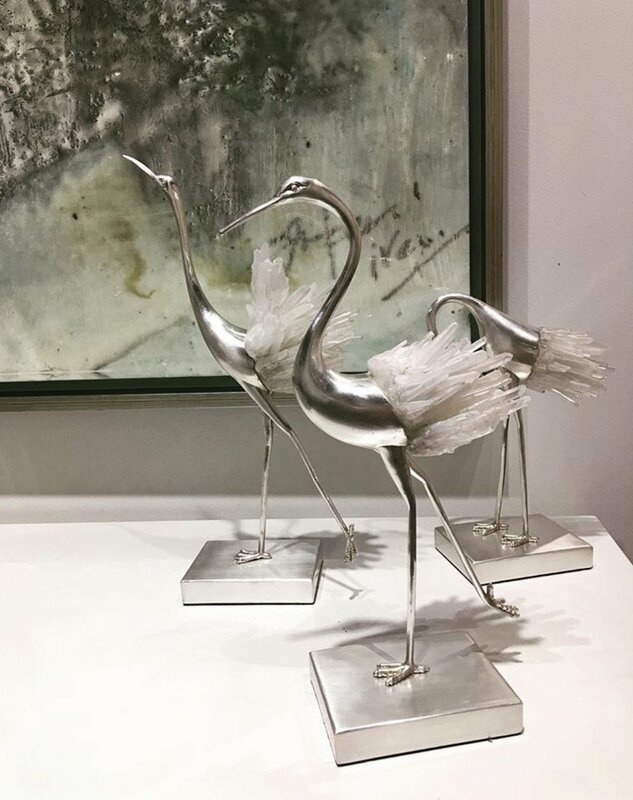 Birds of all shapes and sizes were definitely a HPMKT trend for Fall 2018, and I, for one, am egg-cited about it (sorry)! I hope you enjoyed my market trend recap, and please visit the #HPMKT2018 hashtag on Instagram and let me know which trends jump out at you! There is just far too much beauty for one person to wade through!